Description: The free blank word map is a popular graphic organizer that can be useful in helping students learn new words. Click the following links to download and print. 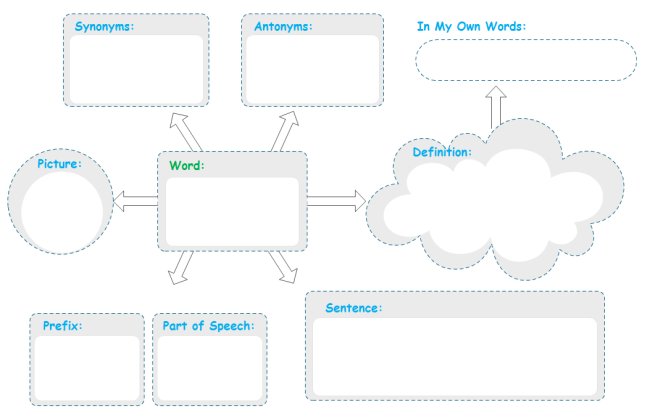 We have provided more vocabulary graphic organizers for you to choose.